Keeping tea fresh is the best way to keep it tasting better for a longer period of time. In this post I will discuss the best ways of defending your tea from the enemies of freshness. In all battles, the key is knowing your enemy. So, what are the enemies of tea? Enemy #1: Its molecular weight is approximately 32 grams/mole, it's nonpolar, gaseous at room temperature, and highly electronegative. That's right, it's oxygen! If you have ever heard the terms "oxidize" or "oxidation" before, it is almost always in reference to oxygen exposure. The technical definition is a loss of electrons by a molecule, atom, or ion, but with tea this is really only going to result from oxygen exposure. Enemy #2: Its molecular weight is approximately 18 grams/mole, it's polar, liquid at room temperature, and covers most of the earth's surface. It's water! Moisture is bad for tea. Not only will an oily slick form on top of your tea (by a process similar to how roads are most oily after the first rain), but it will encourage the growth of mold, bacteria, and all sorts of other nasties. Enemy #3: It moves at exactly 299,792,458 meters/second (in a vacuum, that is), and is the only form of electromagnetic radiation visible to the human eye. You guessed it, it's light! Light will break down molecular bonds inside your tea, destroying its flavor and color in the process. Enemy #4: Okay, this isn't all that scientific. Here's a hint: it smells bad. Yep! It's bad smells! Bad smells are a big problem for tea, as your tea will absorb them if not properly sequestered. The major cause of this is food, but any bad smell will seep into your tea over time. Luckily, two of our four enemies are very easily defended against. Bad smells can be avoided simply by keeping your tea away from other food items (especially smelly ones-- DON'T keep your tea near your spices!!! ), and keeping it in an airtight container. Light is easily stopped by an opaque container (not glass). I know, we all like to be able to see our tea, but I would rather be able to taste it than see it, and light will make your tea go stale. Moisture and oxygen, on the other hand, are more difficult to stop. The best way to avoid these guys is to keep your tea in an airtight container, and keep it out of the fridge/freezer. Not only will keeping your tea in a refrigerator or freezer expose your tea to bad smells, but it will also expose it to a very humid environment. 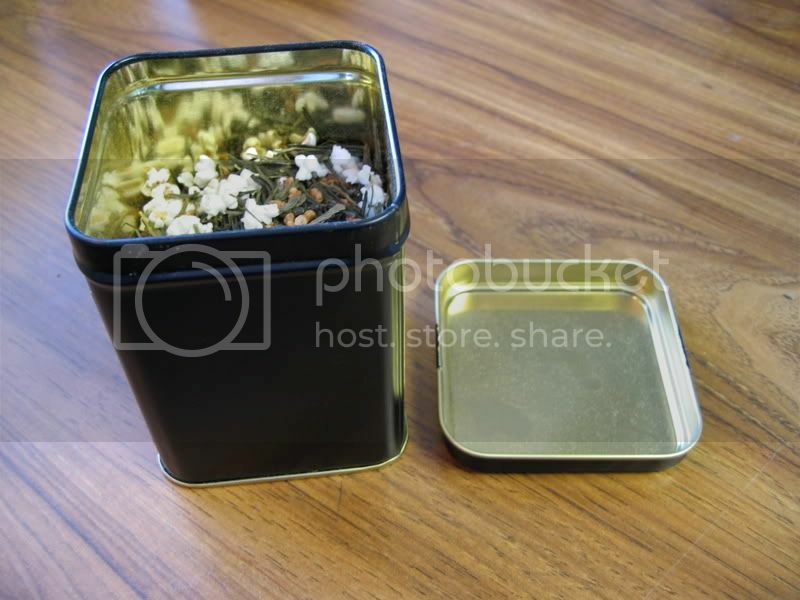 Airtight tins work well in keeping your tea fresh, but obviously it is going to be extremely difficult to remove all of the oxygen from the container. Still, by minimizing the flow of oxygen, you will keep oxidation down to a minimum. I cannot stress enough the importance of investing in some nice airtight containers for your tea. 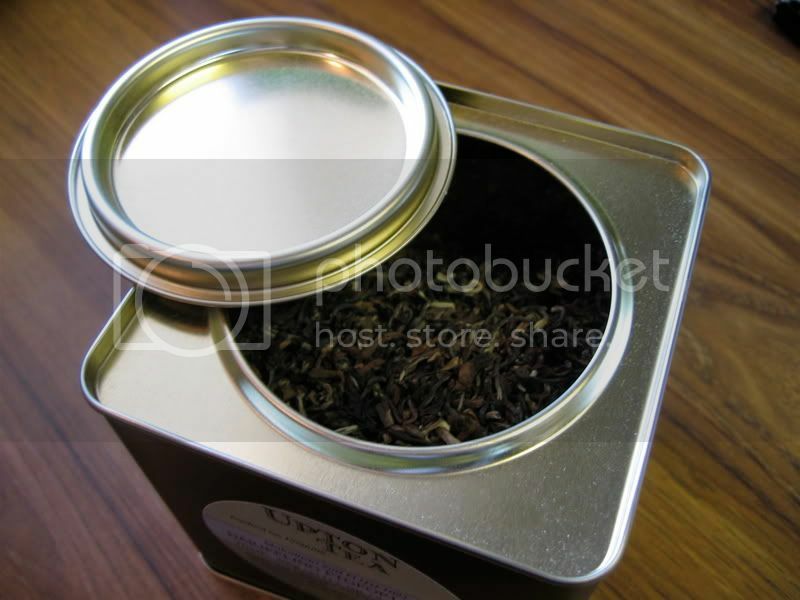 There are two types that I like: plug-top tins and double-lidded tins (shown above). I like double-lidded better for convenience, but both designs work very well. 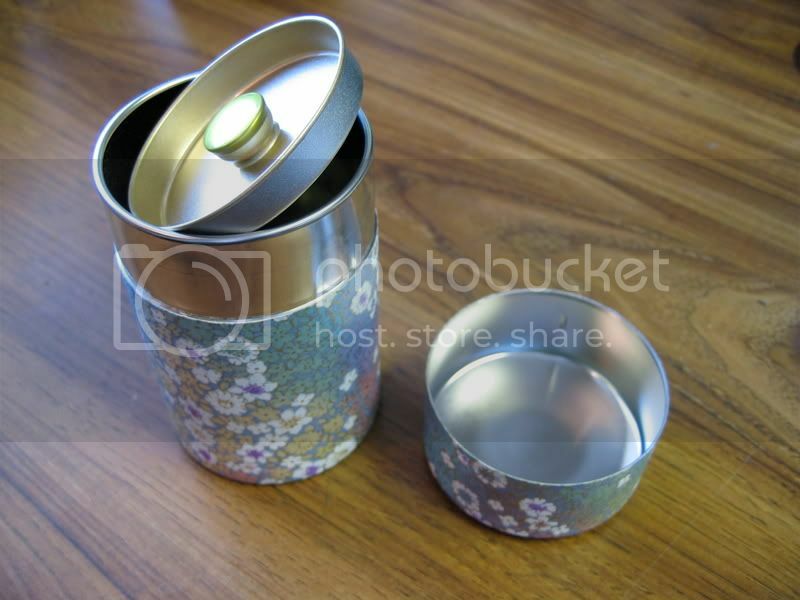 I do not like the normal single-lidded tea tins (shown below right) that some vendors ship their product in. They keep out most of the surrounding air, for sure, but they won't keep your tea as long as the aforementioned (if you went to public school, this means previously mentioned*) designs. There are many vendors that carry nice airtight tins, so just look around for tins that look like the ones I've shown. In research laboratories, when a certain reagent is sensitive to light, temperature change, etc., a common technique called "aliquotting" is employed, where the stock is kept in one container while a small working amount is aliquotted into several smaller ones. A good way to keep your tea fresh for as long as possible is to keep it in two tins. One large tin holds most of your stock, while a smaller tin keeps what you will consume in the next few weeks. This way, you won't expose your entire stock of tea to the elements every time you make a pot of tea. Thank you, science! How long will my tea last, anyway? Even though you have taken the necessary precautions, your tea will not last forever. This largely depends on the amount of oxidation the tea underwent during processing. Green and white teas, which are not oxidized during processing, are extremely prone to post-processing oxidation, and go bad very quickly. I would not suggest keeping green or white tea for longer than 6 months. Even 6 months is pushing it. This has a couple of important implications for you, the consumer. For one, don't buy more green/white tea than you can drink in a few months. Also, if possible, limit most of your green tea consumption to late spring and early fall, as this is when the newly harvested tea is freshest. Oolong tea generally lasts longer than green and white teas, but the amount of time before it gets stale depends greatly on the amount of processing it underwent. Greener oolongs should be kept no longer than 6 months, but darker oolongs can be kept for up to a year. Black tea, when stored properly, can last up to a couple years. As black tea was already highly oxidized during processing, the leaves will oxidize much more slowly than other classes of tea. 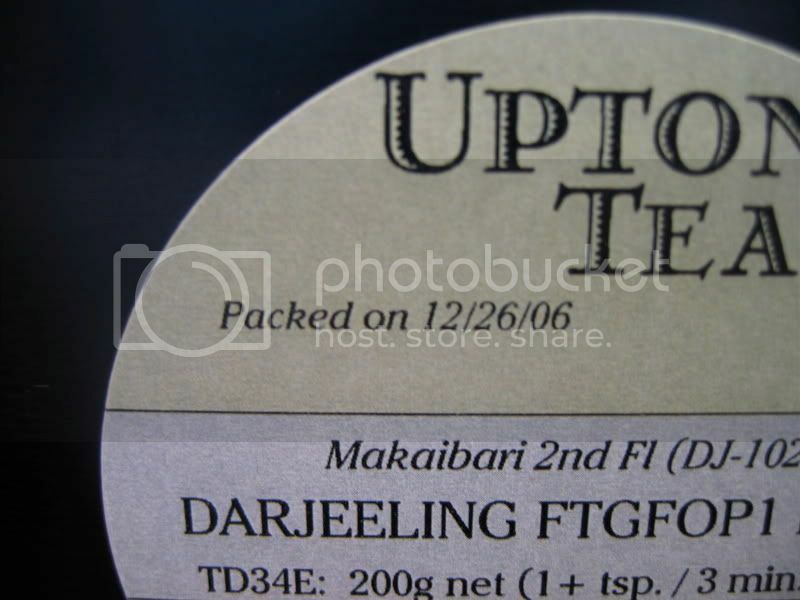 Some vendors will keep stocks of tea just like any non-perishable product, selling it until the inventory is all gone. Watch out for this (stay away from eBay, unless you trust the source). I much prefer ordering from vendors that display the harvest year on their products' pages, as well as printing the packing date on their tins/packets. This does not mean that vendors that don't do this are selling stale tea, but I am more comfortable knowing how old my purchase really is. One thing I look for when I purchase green or white tea is nitrogen flushing. While not absolutely necessary, this is a very good service. This can either be done at the processing plant or by the vendor from which you purchase your tea. The benefit of nitrogen flushing is that there is very little oxygen left in your packet of tea, which virtually halts any oxidation your tea is undergoing. In case you are bothered by the idea of inhaling or consuming gaseous nitrogen, don't. Roughly 78% of earth's atmosphere is nitrogen, so if nitrogen were bad for us, we'd all be dead. Flushing with nitrogen is essentially the same as removing the oxygen. Keep your tea away from air, moisture, light, and odors. Be mindful of the shelf life of your teas. Be skeptical when purchasing your tea. It is a losing battle, but the forces of staleness and odor can be slowed, and a stalemate (no pun intended) can be reached. Follow the above steps, and your tea will stay fresh for as long as possible. *I'm just kidding, don't get offended-- I went to public school too. The plug top seems about the same as the regular lidded tin as far as stopping oxygen. I like that double-lidded tin. Thanks for the term aliquotting. I've been doing this for some time and I believe it works. I haven't been not-aliquotting so I have no comparison, really, but it appears to work well. I think it depends how well the lid fits onto the rest of the tin. A lot (though not all) of the single-lidded tins I have bought have fit together pretty loosely. I need a screwdriver to get the plug top tin open, so I'm more confident that the plug-top lids fit more snugly. "Its molecular weight is approximately 32 grams/mole, it's nonpolar, gaseous at room temperature, and highly electronegative." my lil' heart skipped a beat. Thanks for integrating scientific terms and practices (aliquotting is the best darn tea life extender) into daily life! Your blog just keeps getting better and better. Water you doing to your tea? What happened at Tea Nerd?